PeopleSoft is a cloud-based HR software that has components for benefits administration, payroll, time and labor, and more. It also provides tools designed for human capital, finance, and project portfolio management. In this article, we cover user reviews and pricing. Ready to get started with PeopleSoft? Visit its website. Users who gave PeopleSoft a positive review commended its customizable and organized interface that allows them to easily access employee information. They also said that its internal reporting provides them with useful business insights. Some of them mentioned that the invoicing features help in financial management. 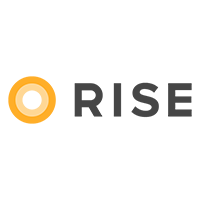 Users who gave PeopleSoft a negative review complained about its recruitment and onboarding tools which they find difficult to use. They also reported lagging when using the system. Some users complained about the steep pricing. PeopleSoft’s Human Capital Management (HCM) component licenses range from $35 to $225 per license, and between $7.70 to $49.50 per year for updates and 24/7 technical support. Costs depend on what components of PeopleSoft will be purchased and how many employees will use it. All licenses are paid in full upon purchase. Ready to get started with PeopleSoft? Visit its website. How does PeopleSoft help users manage employee benefits? 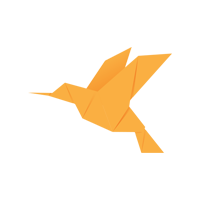 PeopleSoft allows users to define benefits plans, providers, and rates. It can also compute for employees’ leave accruals. The program enables them to automatically process benefits enrollment as well. How can PeopleSoft users track their employees’ time and activities? PeopleSoft has time tracking tools that enable users to enter and edit time-in and time-out, manage employees’ leave approvals, and review analytics. It is also available on a mobile app that allows users to perform time-tracking tasks on-the-go. Not sure if PeopleSoft is the right fit for you? Read our reviews of all top HR software or check out one of these three PeopleSoft competitors. Peoplesoft HCM is very useful in tracking the entire life cycle of an employee’s relationship with the Organization. The time from when they apply with the organization until the time they retire from the company, every details can be tracked at detail level. All kinds of reporting possible for an employee with the plethora of information available on Peoplesoft HCM Platform. Employees Snapshot or the Dashboard can help the manager to shortlist on internal talents and use them across projects or business units. The documentation related to the configuration and setup for using the Peoplesoft HCM is not comprehensive enough. There are setup wizards which are useful but not up to the market. Comprehensive User GUIDE with detailed explanation and setup of each functionality would have been helpful. Security assignment to new users or functionality is sometime challenging. In People soft HCM Management, assigning projects to user for timesheet entries and required security level is not that straightforward. Not properly organized in terms of options available in service portal. Need to spend considerable amount for customization if needed as per the Organizational requirements. Although PeopleSoft is primarily known for its HR suite it has many other pillars (also Financials, CRM, eLearning, Portal and Campus Solutions). Because of its maturity and well established position in the marketplace it has very broad functionality and is very stable (when configured appropriately). Most pleasingly for its customers is that it’s still innovating and some of the recent releases have delivered large improvements in the user experience and functionality. It can often be difficult for clients to hear the PeopleSoft marketing messages due to the focus on Cloud solutions from all of the major vendors. Happily, PeopleSoft can be deployed in the Cloud, it’s just not always easy for customers to hear the message. I do wish there was a better way for customers to communicate. There are conferences, user groups and forums, however not all customers are active, or even members. There are customers who aren’t making the most of their software through not knowing there are other ways to use PeopleSoft. The product is very intuitive and easy to work with. It allows for all of the data to be organized in a fashion that makes finding information easier. It puts the data together in a logical fashion and shows you all of the needed data in one place with easy navigation through screens & reports. From what I have heard from colleagues, the interfaces could be much stronger and easier to use. Also lacking somewhat in the ATS side. I wasn’t actually in the position when PeopleSoft was purchased. I have, however, been on implementation teams in my prior roles in which we chose PeopleSoft over several other products. We were pleased with these decisions. PeopleSoft has served it’s role as an HR and Financial Management tool. Oracle is quick to send out our account manager and systems folks to review our current setup as needed or address concerns. Customer service is great in this regard of willingness to respond and attempt to help, but unfortunately many satisfactory solutions have never been found without costly additions to the system. Recruitment wise, PeopleSoft is not a quality careers or talent acquisition tool. Many other dedicated systems were designed to be user friendly and dedicated application tracking systems – PeopleSoft is not. My organization has had to customize the system to fit basic business needs in recent years from hiring, transferring, and posting jobs. From the customer experience side, there are consistent applicant problems and our HR admins spend a significant number of hours every week helping candidates navigate their application. We suffer from a huge candidate fall-off during the application process as many simply exit the application. Financial management and procurement tools within PeopleSoft function as expected, but have a very outdated UI. For expense purposes and other non-salary payouts we’ve moved out of the PeopleSoft space to another 3rd system that communicates with our payroll teams. As explained above, their ATS is lacking and is not a primary focus of future updates it seems. To work with our organization we’ve had to customize features, but in the end we had to rely too heavily on customization and it has made new Oracle updates near impossible to implement now. 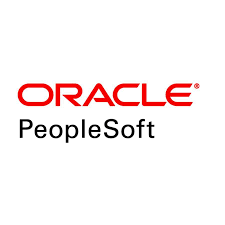 Oracle PeopleSoft allowed the Fortune 500 Organization at which I was employed about 4 years to manage critical human resource documentation, access for key administrators, store and protect sensitive payment and benefits information, and collaborate on candidates throughout the process. It was difficult to learn for new employees in the HR Department who have typically used more up-to-date systems and websites. Having a training program, built with articles and videos, at least in-house, or recommended to their clients, would be a huge benefit. To be honest, I’m not sure – I hadn’t actually been a part of the purchasing process or decision, as the system was at the Organization long before I’d joined.